ULSTER branch officials are ramping up their efforts to unearth the next Rory McIlroy by seeking to appoint a Talent Identification Officer. Branch Chairman, Peter Sinclair, told club representatives at the ADM that discussions were well advanced with Sports NI to provide funding for the new role. In recent years the branch has stepped up efforts to pinpoint the next generation of players with former secretary, Brendan Edwards, and his team of coaches driving the process. This year a summer assessment programme was well supported by the clubs with some 300 boys attending various venues across the province. The coaches then selected 80 participants for further intensive coaching during the winter at the Greenmount Academy. Ulster golf continues to produce world class performers at both the professional and amateur level but the branch is determined to make the most of the new upsurge in interest sparked by the success of Rory McIlroy, Graeme McDowell and Alan Dunbar. To that end, the new appointee will be charged with working closely with junior convenors across the province to ensure that promising young players are not lost to the game which is particularly important at a time when falling membership is a serious issue for many clubs. Mr Sinclair revealed that adult membership across Ulster had dropped from a peak of 44,000 in 2008 to a current level of 36,500. He added, “We believe there are not fewer people playing golf. We believe people are playing golf elsewhere by taking advantage of the deals that are available. “It concerns the provincial council and we are continually striving to find ways of assisting clubs in this area. We will be supporting changes to the GUI Constitution allowing the formation of a separate body in conjunction with the ILGU and the PGA. Motions put forward by Donaghadee to regionalise the Ulster Fourball and Ulster Cup competitions was defeated as was Rockmount’s motion urging the GUI to subsidise clubs reaching the All-Ireland Cups and Shields. Donaghadee Junior Cup team celebrate their victory over Athenry in the Chartis Europe sponsored Junior Cup at Kinsale Golf Club. 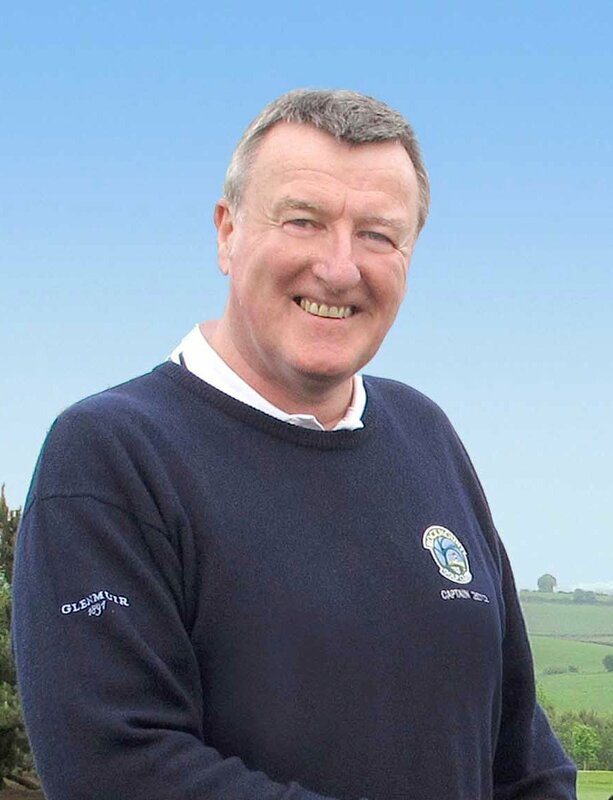 GOLFING Union of Ireland proposals aimed at helping cashed strapped clubs have been dismissed as ‘not going far enough’ by Rockmount GC captain Peter O’Hara. For the second year in a row, the Co Down club has tabled a motion ahead of the forthcoming Ulster branch ADM urging the GUI to subsidise clubs reaching the finals of the All-Ireland Cups and Shields. “We put forward the same motion last year. At the time, Peter Sinclair [Chairman], indicated to the meeting that the GUI was looking at ways to help clubs out,” said Peter. During last year’s debate on Rockmount’s motion, Mr Sinclair insisted that the Union would, ‘not sit on three million’. He added that the Union was working to produce a plan that would benefit ‘every GUI member’ and not just the clubs that reached the All-Ireland Finals. The Union intends to freeze competition entry fees for three years and also freeze the levy [£11 paid by every affiliated member] for a minimum of three years. The Ulster branch levy [£3.50] will also be frozen for three years. “I hope the delegates remember what was said last year and support the motion, in my eyes not enough has been done to help the clubs,” added Peter. The levy remains the major source of income for both the GUI and the provinces. A decision to freeze them at current levels, coupled as it is with a declining membership, will undoubtedly have an impact on the Union’s ability to administer the amateur game. Ulster branch figures for 2012 reveal that £131,787 was taken in through the levy, down by just over £4000 on the 2011 figure. It is expected to decline again in 2013 as a result of dropping membership. Yet, the branch and the Union are still able to report an operating surplus at the end of the year, while many clubs are battling to stay afloat. Donaghadee’s Junior Cup team went all the way to the All-Ireland Finals in Kinsale this year, returning with a gold medal but the success came at a cost of over £4000. Like most clubs, Donaghadee was forced to fundraise to send the team to Cork and club captain, Jim McCurley, an enthusiastic supporter of the Rockmount proposal, is convinced that something more than just ‘tinkering at the edges’ has to be done. “We have been cutting costs for a number of years and we will be doing so next year,” said Jim. Jim estimates that Donaghadee spent somewhere in the region of £10,000 on team expenses this year, a heavy reduction on previous campaigns and only achieved by some early exits and tight monetary controls. It’s one of the reasons why the club has proposed motions to the ADM aimed at regionalising the early rounds of the Ulster Cup and Ulster Fourball competitions. “Our Ulster Cup team went to Ballyliffin this year to play and our Ulster Fourball team played Ballybofey and Newtownstewart. It was two expensive trips costing £1500,” added Jim. The Ulster Branch ADM is on November 27th. ANNUAL general meetings tend to come and go without much controversy these days but there could be some interesting discussions at the forthcoming Ulster branch ADM which will be held at Shandon Park GC on November 22. 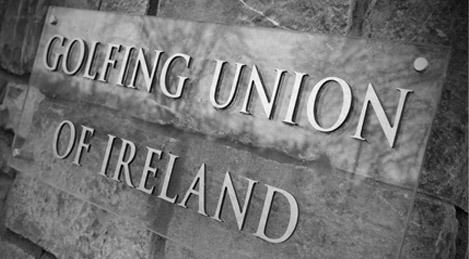 County Down club, Rockmount GC has put forward a motion which may give the Union’s finance officials some food for thought. The motion was suggested by the Carryduff club’s incoming captain, Mr Peter O’Hara. “I saw the accounts in the GUI golf yearbook and I noticed that they are very healthy. There’s millions sitting there,” said Peter a former Connacht Boys champion back in 1974. This year the All-Ireland Cups and Shields finals were hosted by Castlerock GC near Coleraine. Under the long-standing rotation system the annual amateur jamboree moves to County Cork and Kinsale GC in 2012 followed by Royal Tara, County Meath in 2013. After that the festival is scheduled to be based at Carton House, near Maynooth from 2014-2017. It is undoubtedly a very expensive operation to field teams in the latter stages of the Cups and Shields. The money for travel, accommodation, practice rounds and meals all has to be found by the clubs themselves. Warrenpoint GC represented Ulster in three events – the Jimmy Bruen, Barton Shield and Senior Cup this year. With that level of commitment, the club embarked on a series of fundraising events to gather the necessary funds which amounted to almost £10,000. It was a similar story with the other clubs involved. Co Cork side Mitchelstown, who won the Junior Cup, cut costs by staying in local guesthouses but their bill also stretched into the thousands. “I would say there are a lot of treasurers cringing when their teams progress to the All-Ireland finals,” added O’Hara. There is no compunction on clubs to enter any GUI competition and many clubs don’t field in every event. However, it will be highly unsatisfying if finances start to dictate who can or can’t compete at provincial and all-Ireland level. “The accommodation is going to be the most expensive thing. A lot of clubs just don’t have the money to throw around,” continued Peter.